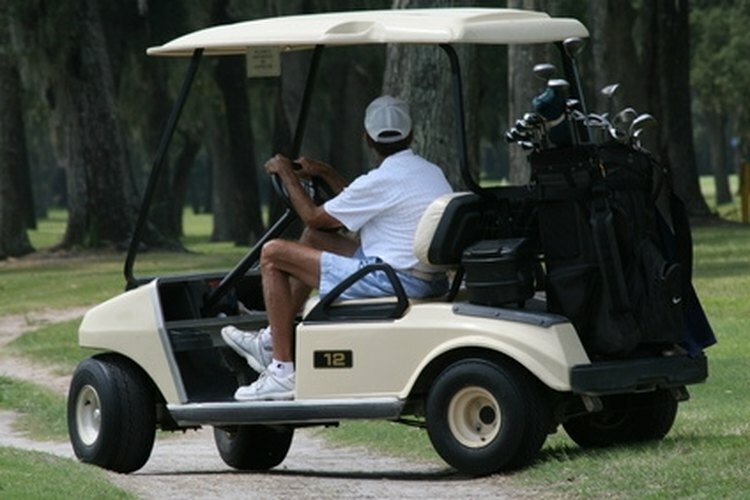 As of 2010, the state of Florida does not require registration of electric golf carts. However, some municipalities in Florida do. Those cities include but are not limited to South Daytona, Cedar Key and Key Biscayne. Golf cart registration is beneficial as it aids the police department in apprehension if the vehicle were to be stolen. The cost to register your electric golf cart is usually low. Most municipalities will require that you have a valid Florid license before you can register your cart. Find the Vehicle Identification Number or VIN for your electric golf cart. The VIN number is usually on a label under the seat of the cart. It is also often listed on bill of sale if purchased from a dealer. Contact the manufacturer of your golf cart if you are unable to locate the VIN number. Your insurance agency, the Department of Motor Vehicles and the police department will all require that you have the VIN number of your golf cart. Contact your current insurance provider if you have one. You will need to purchase insurance for your golf cart. If your current provider does not offer golf-cart insurance, ask them for a list of companies that do. You can also check with your local golf courses to find out who they recommend. Call your local police department to schedule an inspection for your electric golf cart. This will need to be completed prior to registering your cart. Be sure to bring your bill of sale along with your proof of insurance and valid Florida driver's license with you. Inquire as to whether you can complete the registration process while you are at the police department. Most municipalities conduct the inspection and the registration at the same time while others require the police department to complete the inspection. The police department can instruct you as to where to go to complete the registration if needed. Affix the registration decal to your electric golf cart. This will likely need to be placed on your windshield or near the front of the vehicle. Return to the police department when shortly before your registration is about to expire in order to renew it. Most registration decals are good for a period of one year. Obey city ordinances when operating your electric golf cart. Failing to do so can cause suspension or even removal of your golf-cart registration. Your local police department can provide you with a list of municipal ordinances to follow. How Do I Find Out if a Lien Is on an ATV with the VIN?